Is Arsène Wenger leaving Arsenal a sinking ship? It has often been said about Arsène Wenger that no matter when he leaves Arsenal he will be leaving the club perfectly setup for his successor. Increasingly, that moment looks as though it may well be upon us this summer and it is why now is a good time to assess whether Arsenal really is setup for whoever steps into Wenger’s shoes. On the face of it, it would seem as though this is very much the case. During Wenger’s reign Arsenal have grown as a club on many different levels. They now have a 60,000-seater stadium which provides them with one of the largest match day revenues in the world. Indeed, the club has grown hugely in financial terms during Wenger’s time. The club’s coffers are full with funds for the next manager to spend, while the overall bank balance is exceptionally stable when you compare it to other super clubs in Europe. Arsenal have boomed into a global brand under Wenger. Its fan base spans across the globe, leading to lucrative tours and new sponsorship deals from a variety of countries. 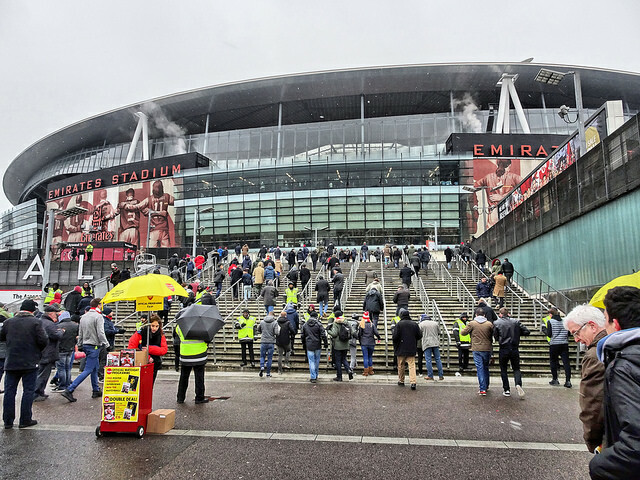 Truth be told, Arsenal is pretty much unrecognisable from when Wenger took over in 1996. However beneath the surface, if we dig a little deeper, you begin to question whether Arsenal is really setup for Wenger’s successor. For starters, there is the ‘small’ matter of Alexis Sánchez and Mesut Özil’s contracts. Whoever steps into the hot seat is going to have to diffuse that ticking time bomb, and fast. There is no time for delay given the length on their deals – either they stay or they are sold for profit before they leave for free in the summer of 2018. It’s as simple as that. Any manager walking into that would have every right to be wary. Essentially in the space of one pre-season he is going to have to convince the clubs two best players they should stay, when they realistically have no idea what the future will hold at Arsenal. However, there are not just Özil and Sánchez’s contracts to sort. You can throw into the mix the likes of Alex Oxlade-Chamberlain, Jack Wilshere and Kieran Gibbs. They too are almost into their final years of their deals and again a decision will be have to made quickly about their futures. Does the new manager give them yet another chance at Arsenal? Or does he cut his losses and sell them on? Again, all this will have to be decided after just one pre-season. Arsenal have the infrastructure, but what changes would need to be made by a new manager if one came in next summer? Credit dom fellowes under license. Question marks, still surround the defence too. A new left-back is required to replace the ageing Nacho Monreal, while – for me – the jury is still out on Shkodran Mustafi given the fact he cost £35m. With that in mind, another centre-back is arguably needed. The midfield needs revamping too. Santi Cazorla’s best days are behind him, while an upgrade on Francis Coquelin looks as though it would be a good investment. Ahead of them a new winger and playmaker will be need if Özil and Sanchez go, and Arsenal still crave a world class number nine. It is perhaps just as well Wenger has left some money in the bank. Off the field some serious revamping is going to have to be done as well. It has been spoken about on the pod before about the current coaching staff and they are all very much Wenger’s men – just listen to Steve on Gerry Peyton. Naturally a new manager would want to bring his own coaches too, but more to the point if Wenger is planning to carry on working elsewhere next season – which he confirmed at a press conference last Friday – then you can expect his staff to follow him. That means a complete revamp of the coaching setup will be required. Even further off field there will surely have to be the creation of new roles too. Wenger’s thirst and desire to do nearly everything at Arsenal means there is no director of football, or someone working in an equivalent role. Such a scenario simply cannot carry on when Wenger leaves because the modern super club cannot operate in such a way. Most – if not all – of Europe’s biggest clubs employ a director of football for the simple reason it allows the manger to focus on coaching. With more money than ever in the game negotiations for transfers can be incredibly time consuming and distracting – as Arsenal have found out to their detriment in recent years. So without question the recruitment policy will have to be revamped going forward. It all means, that we have to wonder if Wenger really has left Arsenal perfectly setup for his successor. That is by no means a slight on what the Frenchman has achieved during his time in North London, far from it, but we have already seen at Manchester United how the departure of a long-serving manager can be troublesome. Indeed, when Sir Alex Ferguson left Manchester United it was remarked how he had left a title-winning squad for David Moyes – when in reality there were cracks and problems that ran far deeper. Arsenal fans will just be hoping that those same cracks and problems don’t materialise when Wenger finally calls it a day. This entry was posted in NewsNow, The Bergy Blog and tagged AFC, Alex Oxlade-Chamberlain, Alexis Sanchez, Arsenal, Arsene Wenger, Champions League, Finances, Gunners, Mesut Özil, Premier League, Transfers, Wenger. Bookmark the permalink.